DAMAC Esclusiva with interior design by Fendi Casa is beyond compare. A 30-storey luxury building boasting a collection of 216 luxury serviced apartments that exude the ultimate in luxury. With an unmatched location on King Fahd Road, facing Kingdom Tower in the heart of Riyadh, DAMAC Esclusiva represents a truly unique lifestyle. The apartments can be fully furnished and fashioned by Fendi with a range of personalised services and facilities that exceed all expectations. There’s nothing else like it. The exceptional amenities at DAMAC Esclusiva ensure there’s everything you need to relax, rejuvenate and have fun. one temperature controlled indoor pool, one for women and an external pool for men. A fully equipped gymnasium is always at your disposal. There’s also a games room with a wide range of entertainment for the whole family. Relax or rejuvenate in a blissful haven of serenity at your very own luxury spa or enjoy the spa treatments in the privacy of your apartment. DAMAC Esclusiva sits at the heart of Riyadh, the capital of the Kingdom of Saudi Arabia. 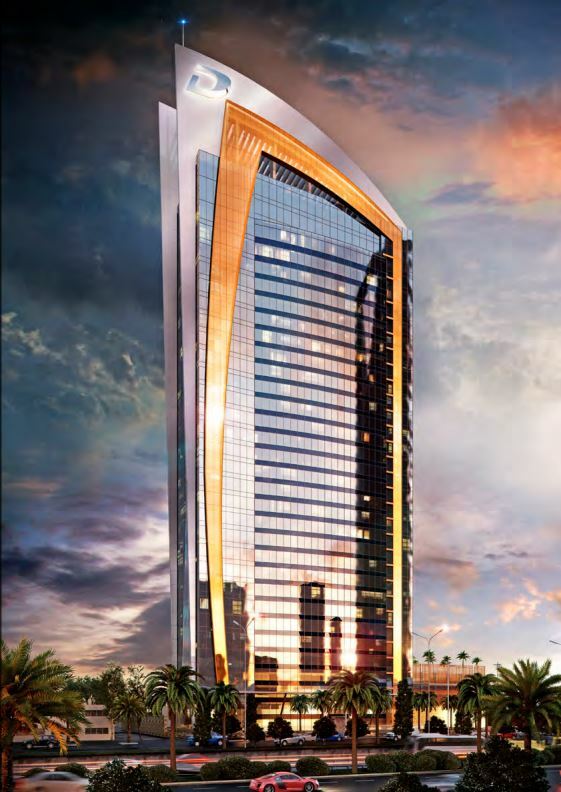 With expansive views across the Kingdom Tower, the tower is located right at the centre of everything happening in the city.